The new BakuCard has been issued for residents and guests of Baku, which allows card holders to use city public transport and Baku City Aero Express buses, which offer airport transfer services to the city and vice versa. 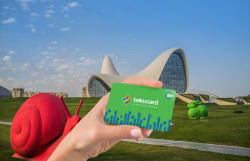 By purchasing the card, tourists will be able to buy tickets for the Baku City Tour buses with a 50 percent discount. 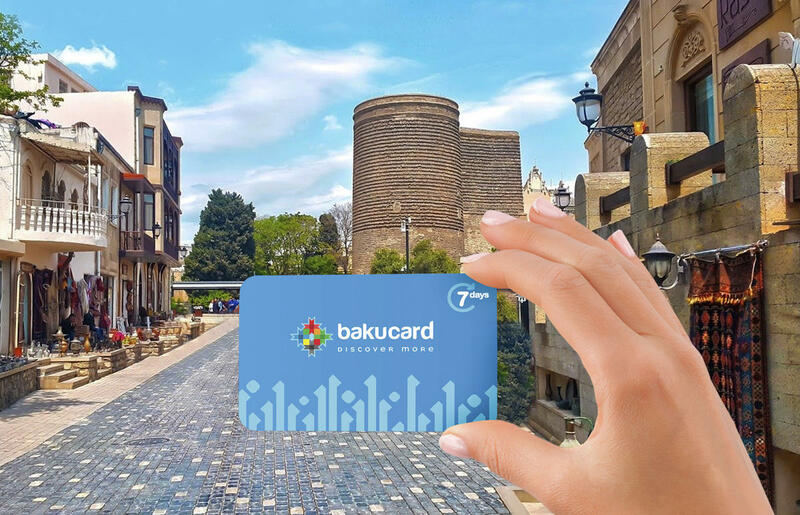 With BakuCard, it will be possible to visit more than 20 museums and recreational parks for free or at a discount, and benefit from discounts at more than 200 retail stores and shopping centers, various cafes and restaurants. 24-hour, 72-hour and 7-day cards, each costing 24, 45 and 70 manats, respectively, will be available. The cards are sold at the Heydar Aliyev International Airport, tourist information centers, hotels, travel agencies, ticket selling kiosks and on the website www.bakucard.az. As of 28 February 2018, the memorandum was signed between the National Tourism Promotion Bureau, the Baku Transport Agency and PASHA Travel with the aim of creating BakuCard. Such a card will allow its holder to plan his trip and rest, make his stay in Baku diverse and interesting, saving time and money. 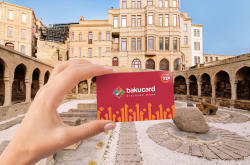 BakuCards will further enhance the appeal of Baku as an international tourist destination. A presentation for the new and innovative product - BakuCard will be held on April 5, within the framework of the event organized by Azerbaijan State Board in Baku Convention Center for the meeting with foreign travel agencies operating in six countries. The main purpose of the event is to familiarize local tourism industry participants with the activities of representative offices and to provide information on the cooperation opportunities to them. Representatives of travel agencies, tour operators and hotels will take part in the presentation on activities and strategies of countries where their representations are located. It should be noted that Azerbaijan tourism representative offices are operating in Frankfurt (Germany), Dubai (UAE), Riyadh (Saudi Arabia), Beijing (China), Mumbai (India) and Moscow (Russia) since December 2018. Representations aim to achieve greater recognition of the country abroad, to increase the flow of tourists from target markets, and to promote the development of tourism in the country as a whole. Azerbaijan, the popular destination for many tourists, attracts millions of visitors every year. The country is popular for a number of archaeological and historical sites, decently depicting its past. The country views tourism development as a priority in its efforts to diversify the non-oil economy. A number of tourist facilities have been built in the regions, and cultural and historical reserves have been set up or restored.